EVAC is a strategy based Windows 8 Puzzle Game. 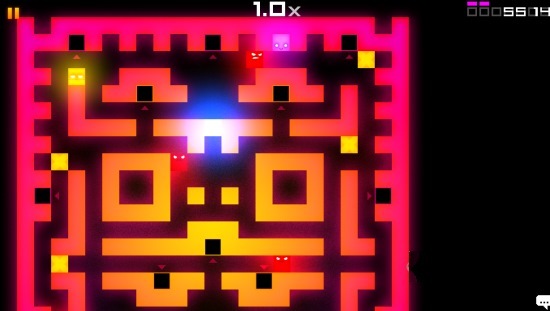 In this free strategy based game, your aim is to collect more colors from the maze you are in and run to the end . On your way, you will be chased by the guarding soldiers. While you are running, you will find various traps and power ups. It’s upto you how you use these traps to your advantage. Also see that you yourself don’t get trapped while playing. There is even the capability to pause the game while playing. This Windows 8 Puzzle Game has 32 levels to play. It supports XBOX-360 also. You can get it freely under the Games category of the Windows Store. You can follow any strategy to complete the level. Let’s get you better introduced with this game. As you land into this Windows 8 Puzzle Game, you will have the option to start. Clicking it will take you to the screen where all the levels will be displayed. On this page, the total score and level score will be displayed. 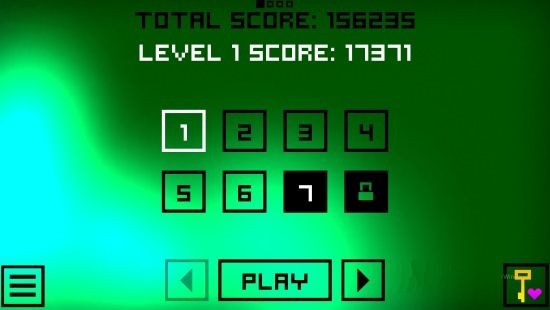 All through the game, your score will be displayed on the upper right corner of the app. As you get more colors, your score will increase. Now, during the game play of this Windows 8 Puzzle Game, you will be given three lives. When you come in contact with the guarding soldiers (red colored), your lives will decrease. See that you reach the end point before the three lives expire or you will lose the game. Initially, for some levels, this Windows 8 Puzzle Game will give you the guidelines but after some levels you will have to figure it out yourself. Any new things about the game will be told to you during the game itself. You can hide from the guarding soldiers by getting to the black colored spots. You can trap them using the yellow colored crossed boxes that are present in the way. 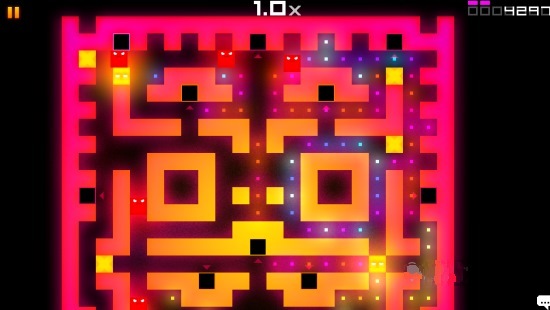 If you collected all the colors present in the level and are able to complete the tasks that are given to you during the game play of this Windows 8 Puzzle Game, some exit point would be created (figure it out for yourself), where you have to reach to get to the next level of this Windows 8 Puzzle Game. As you get to the next level, the difficulty will gradually increase. In addition to all this, you can pause this Windows 8 Puzzle Game any time. For that you can use the pause button that appears at the top left corner of this Windows 8 Puzzle Game. Also check SuperDuck, Pumpkin Jumpin Free, and Tetris. The Game is freely available. There is no single solution to play the game. Choose any strategy you like to play. 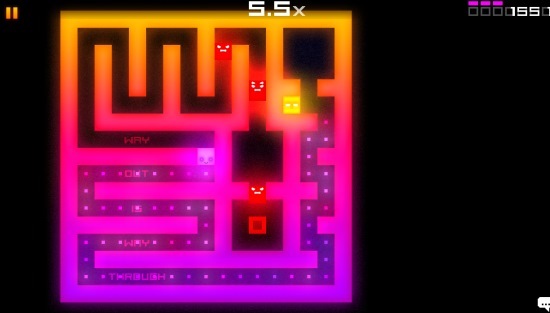 The game uses good quality graphics and colors. Ease of playing: The controls are quite easy. As per my experience, I really enjoyed the game very much. The controls are quite easy. There are 32 levels to play, which have variable difficulty which will engage you even more. All in all, a good Windows 8 Puzzle Game, EVAC deserves a try for sure. Don’t forget to share your experience with us.